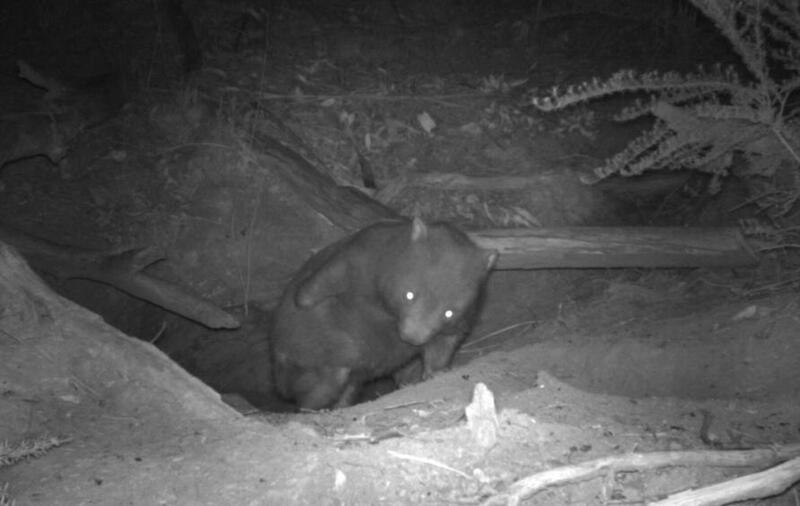 Pottering around in the dark, a wombat, briefly emerges from its burrow before heading back inside. Not long after, a koala, that would spend most of its time in trees, wanders out of the same burrow. Later, even a rabbit has a little mosey around and then hops inside. The bared-nosed, or common wombat, lives in Eastern Australia, from southern Queensland to Victoria and in Tasmania. It is largely nocturnal and feeds on grasses. Wombats are one of the largest burrowing mammals in the world, generally weighing around 25 kilograms. They are expert diggers with short, powerful legs and strong claws and are most closely related to koalas, a fellow marsupial unique to Eastern Australia. In late 2018 a group of keen third-year University of Melbourne zoology students, who were conducting a research project on native mammal diversity, asked to use their supervisor’s camera traps in the hope of recording a wombat. What they didn’t realise is just how many creatures they would ‘capture’. 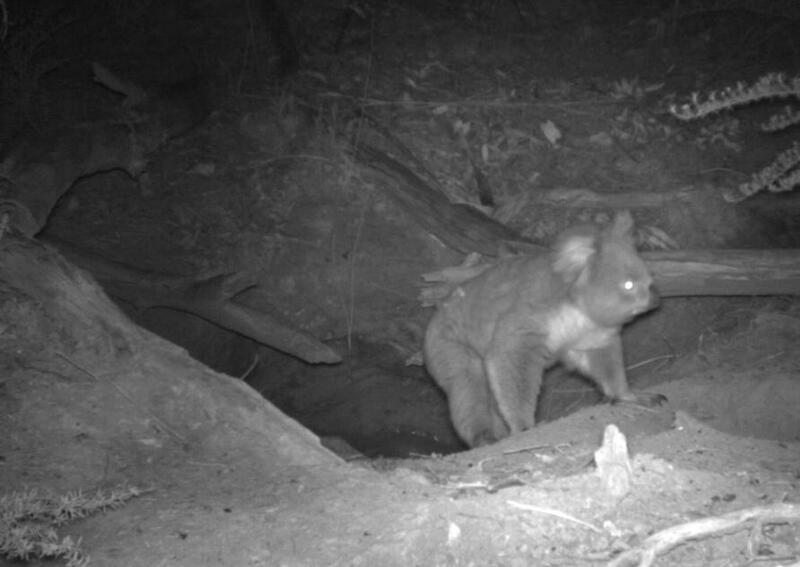 “Some of my students came to me and politely asked to borrow my camera traps, which I sometimes use at home,” says Dr Kath Handasyde, an expert in native mammal ecology and physiology. 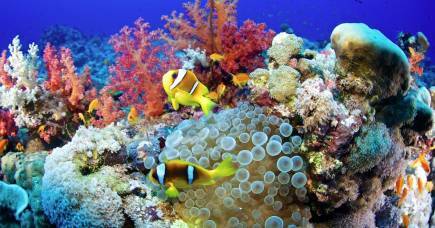 Why do animals use burrows? Burrows provide protection from the elements and predators – they are a safe place for wombats to rest and provide a comfortable temperature. Wombats use multiple burrows and spend about two thirds of their lives underground, which helps them conserve energy. Wombat burrows can be more than just a hole in the ground. They are often complex, can contain more than one chamber, and are periodically ‘renovated’. Using existing burrows over long periods is important because building a burrow from scratch is highly labour intensive, so adding an extension makes more sense. While wombats will use a number of different burrows, normally there will only be one occupant at any given time, as wombats are solitary creatures. Would the koala and the wombat have encountered each other in the burrow? The wombat was probably sleeping in a resting chamber when the koala wandered into the burrow and then out again. “Wombats can be a bit cantankerous. If the koala had encountered the wombat, it would probably have been chased out and wouldn’t have been anywhere near as relaxed as we can see in the photos. 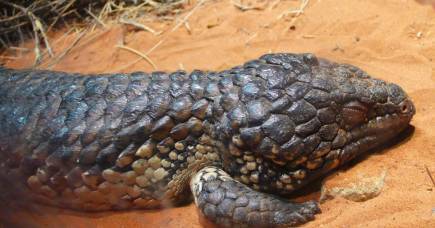 In fact, we can even see that it stops to sniff the ground, so it’s very relaxed,” says Dr Handasyde. Rabbits, which are an introduced pest in Australia, also depend on burrows for resting and protection. Rabbits frequently use abandoned wombat burrows, says Dr Handasyde, so it isn’t surprising that the rabbit entered the burrow.